The latest technique for your artwork. The result is a photograph on aluminum, the density and the deep saturated colors exceeds every expectation. You only believe the result can when you see it. The high gloss surface is highly scratch and moisture resistant. 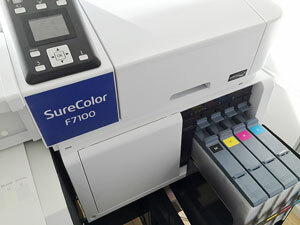 Together with archival Epson inks a highly durable work of art is created. Specialization and Customization: free choice of dimensions and size. 122 x 244 cm in one piece. You can apply for any dimension or size with us. As you are used to from Diasec, picture framing and mountings. The product stands for brightness and vividness of images on printed materials. Chromaluxe is a photo printed and then transferred onto aluminum using dye-sublimation. The ink is transferred under high temperature and high pressure into the coating. Chromaluxe is a trademark of Universal Woods. Meanwhile Chromaluxe is already known in many countries in the world.